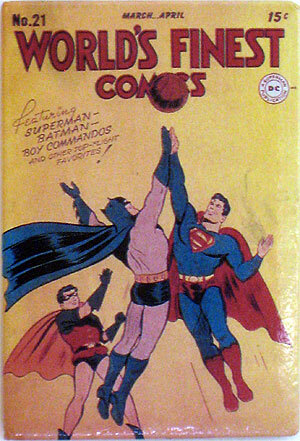 Yesterday we featured quite a few DC Comics posters. Today we’ll finish up the tour of the DC posters. The next couple days will focus on Star Wars and other geeky posters. Please feel free to share any of your favorite posters! 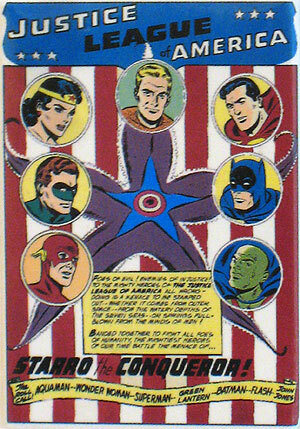 Below is a World War II era poster of the Justice Society of America by Tony Harris. Click the image to enlarge. 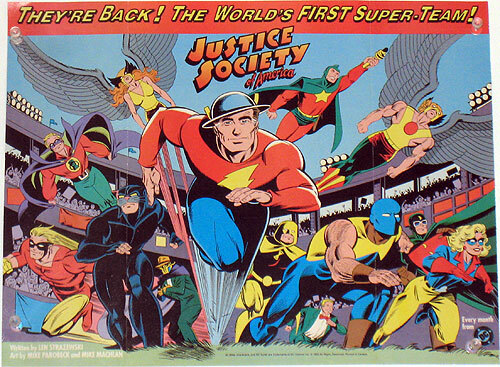 Below is a promotional poster for the 1992 launch of Justice Society of America by Len Strazewski and Mike Parobeck. This promotional poster was part of a giveaway flier about the series. There are blurbs for several of the characters on the outside of the flier. When you open up the piece, you get this poster. Mike Parobeck was an amazing artist! I simply adored this series. This poster still hangs in my Comicatorium. 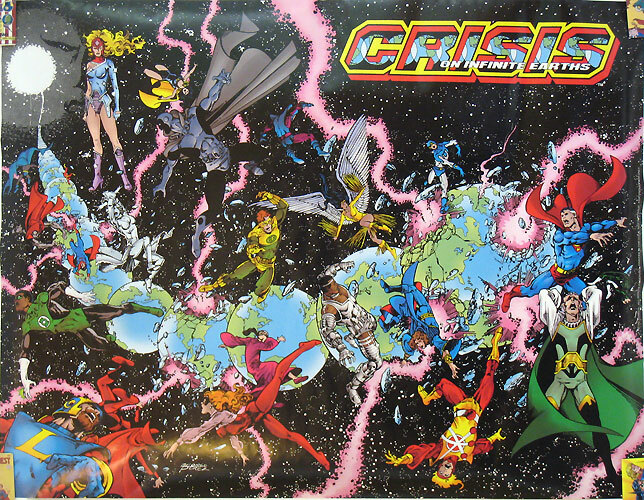 Below is a Crisis on Infinite Earths poster by George Perez reprinting the cover to issue #1. 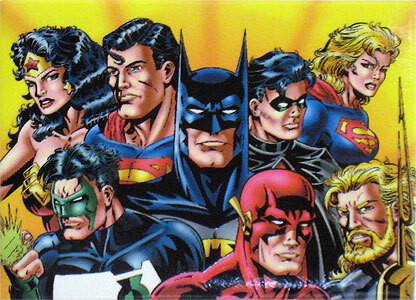 I believe I got this poster for free when I bought the slipcase hardcover for Crisis on Infinite Earths. Click the image to enlarge. 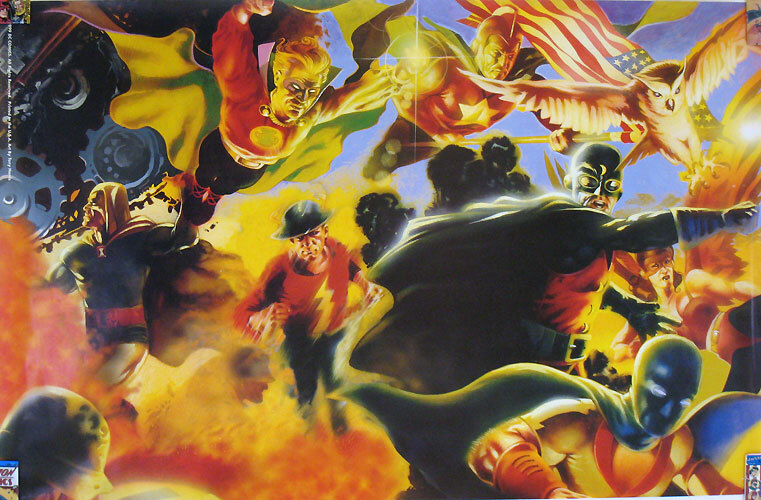 Next up is the Crisis on Infinite Earths poster penciled by George Perez and painted by Alex Ross. 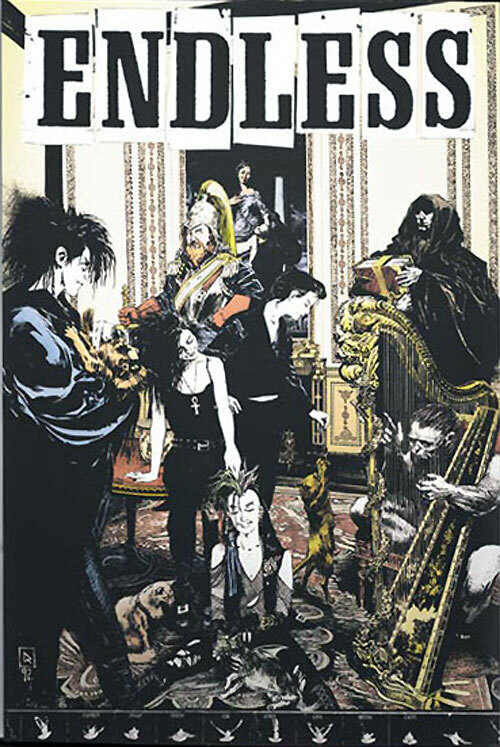 This poster was produced in 1998 to coincide with the release of the slipcase hardcover edition. In order to showcase all the fantastic detail in the painting, they had to make the poster oversized – 65″ (over 5 feet!) x 28″. The poster is hanging over my computer and I find myself studying the hundreds of characters quite frequently. Click the image to enlarge. Below is the gorgeous Kingdom Come poster by Alex Ross. Click the image to enlarge. Next up, Mike Wieringo on the Flash. 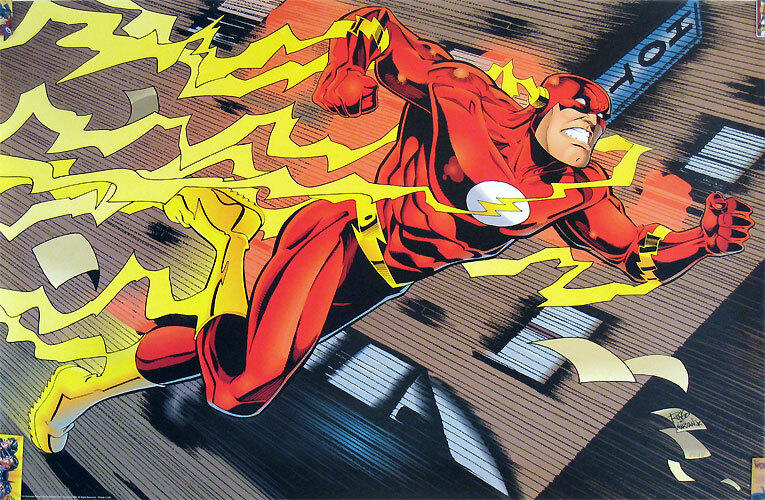 It took me a while to warm up to his version of the Scarlet Speedster, but eventually this became one of the iconic Flashes for me. Click the image to enlarge. 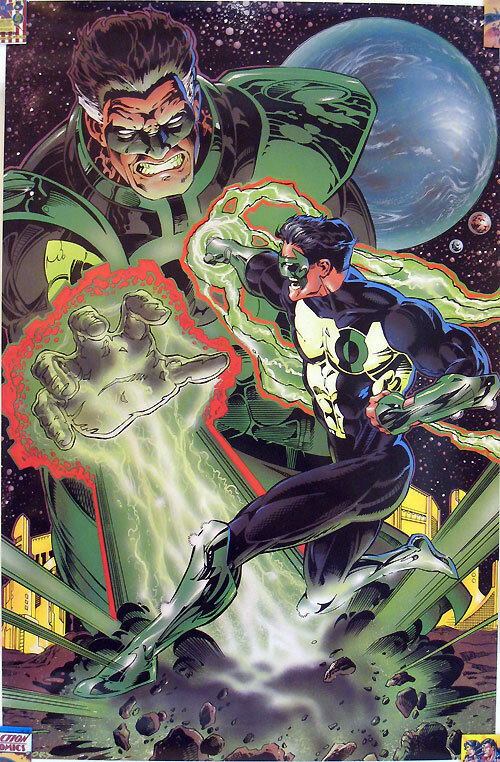 Green Lantern Kyle Rayner versus Hal Jordan Parallax. 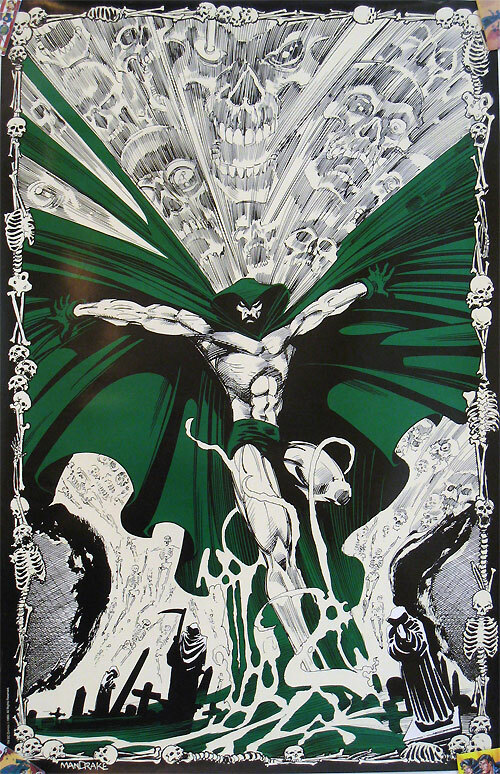 This poster was released around the time of Green Lantern #0 in 1994. I really like this poster! Great sense of action and energy. 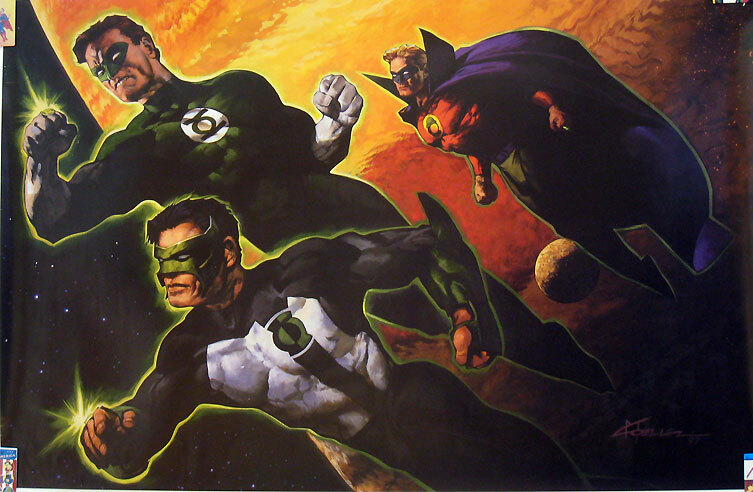 Next up is a painted Green Lantern poster by Christopher Moeller. This one features Kyle Rayner, Hal Jordan, and Alan Scott. While I think Hal and Alan look great, I don’t really like how Kyle’s mask looks in this poster. Click the image to enlarge. To be fair, these next two posters are no longer in my possession. I gave them away to a die-hard Neil Gaiman fan several years ago. However, I still think posting them here is worthwhile. This next poster, entitled Family Snap Shot Or Still Life With Cats, is by Mike Dringenberg and features the Endless family from Neil Gaiman’s groundbreaking Sandman comic book. 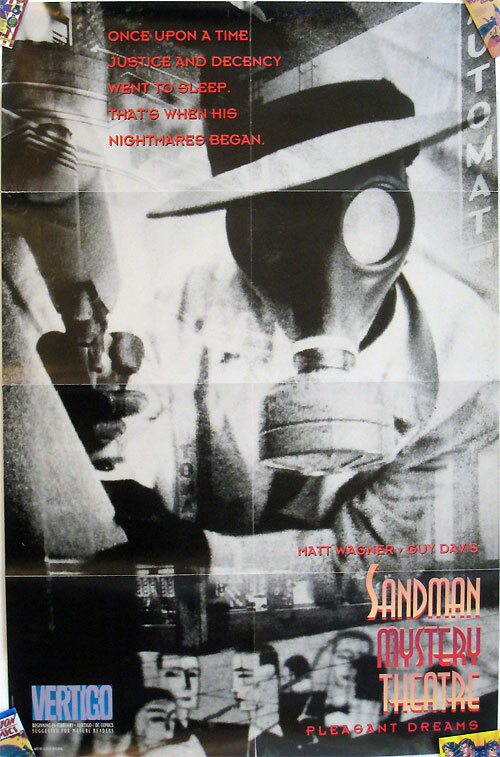 The poster was produced in 1992 and was one of the earliest pieces of Sandman merchandise. 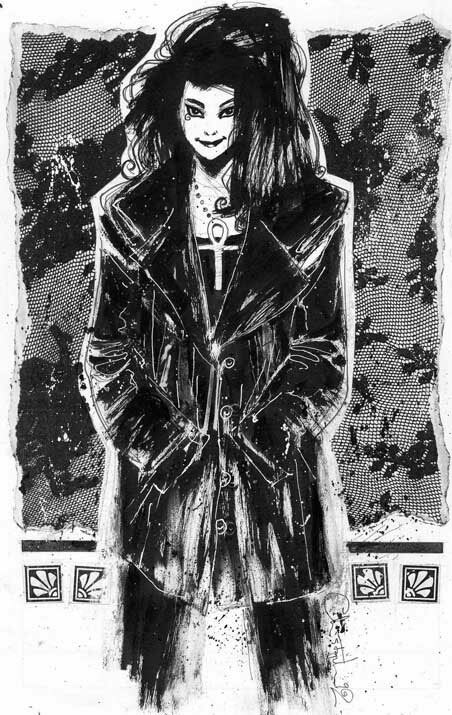 This 1993 poster of Death by Chris Bachalo was produced to coincide with the mini-series, Death: The High Cost of Living. Bachalo sure managed to make Death cute. The next one is a promotional poster sent to comic book shops to promote the 1993 launch of Sandman Mystery Theatre. 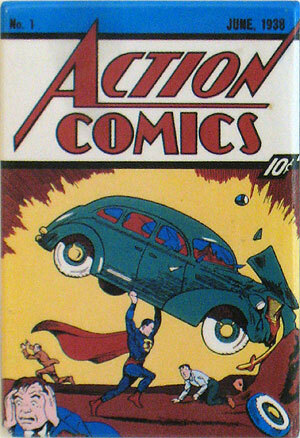 While the series was written by Matt Wagner and drawn by Guy Davis, the covers (including this poster) were created by Gavin Wilson. Here is a neat one! This Spectre poster by Tom Mandrake glows in the dark! Pretty funky! 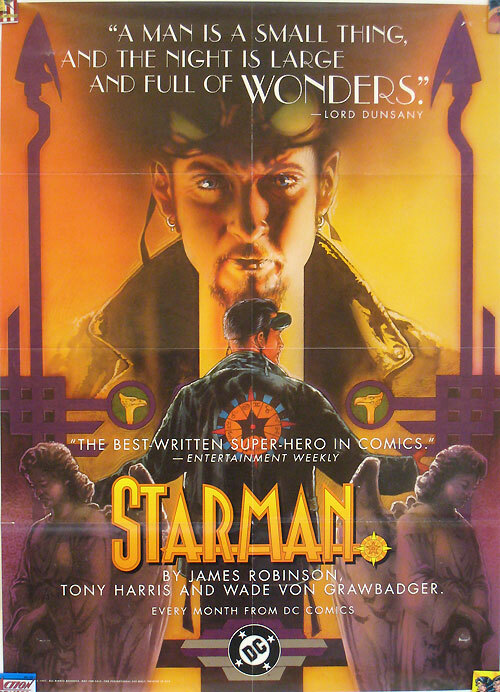 This next one was a promotional poster sent to comic book shops to promote the 1994 launch of Starman by James Robinson and Tony Harris. 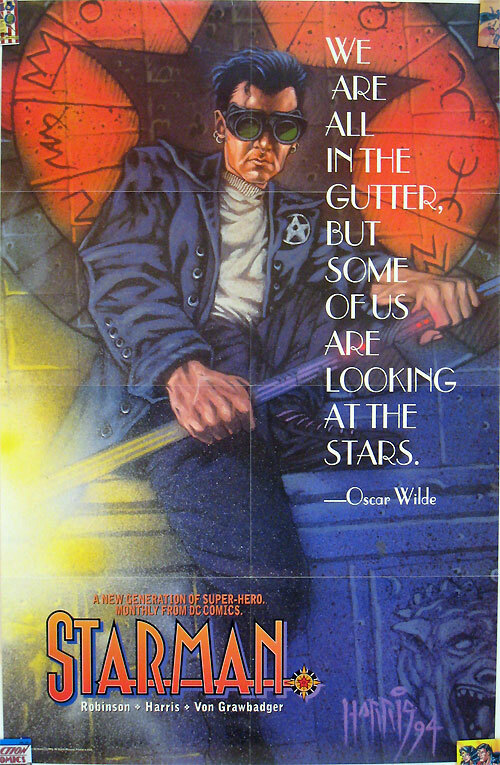 Here is another promotional poster sent to comic book shops to promote Starman. This poster was produced in 1998 and was also created by Tony Harris. 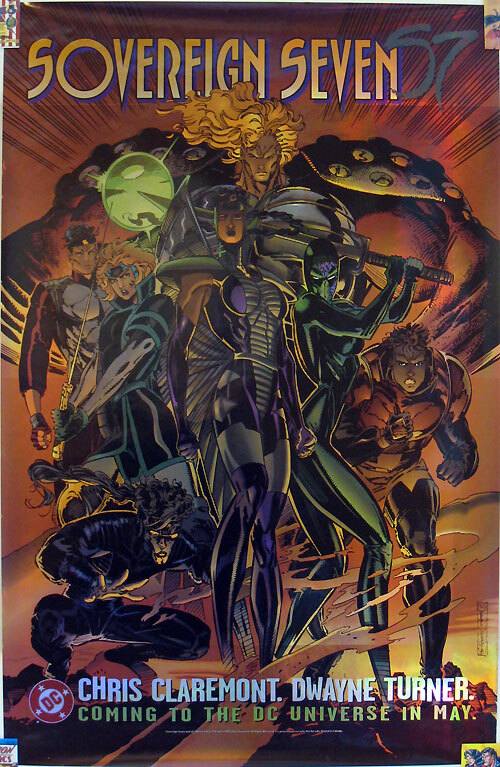 Here is a promotional poster sent to comic book shops to promote the 1995 launch of Sovereign Seven by Chris Claremont and Dwayne Turner. Interestingly enough, this entire poster is very shiny, as if it’s made of the same material the old foil covers were made from. I remember when this series came out, DC thought it was going to be HUGE! Chris Claremont had worked magic on the X-Men for Marvel, and Dwayne Turner had the Image Comics look. DC was promoting this thing like they expected it to be a tremendous success. In hindsight, not so much. In 1998, DC produced a JLA/Titans mini-series with art by Phil Jimenez. Afterward, they took Jimenez’s interlocking covers for JLA/Titans #1-3 and enlarged and expanded the artwork to a mammoth 65″ x 28″. This astonishingly detailed poster was timed to coincide with the release of a new Titans ongoing series. I don’t have this poster anymore as I gave it away to a die-hard Titans fan, but dang it’s cool. Click the image to enlarge. As I mentioned yesterday, I used some magnets to hold the posters in place for the photographs. Here are the four magnets I used. They’re so cool! Come back tomorrow for more geeky posters. We’ll be looking at some Star Wars posters that have graced my walls over the years! First off, Death was always cute, no matter who draws her! 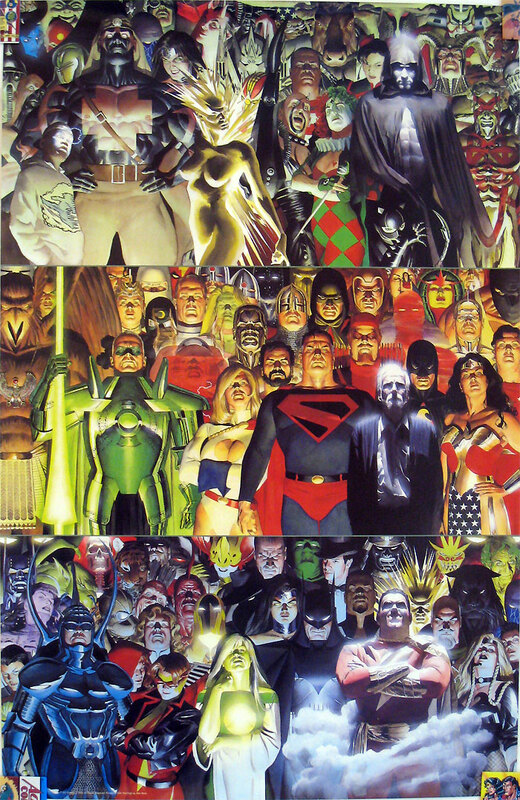 Alex Ross’ artwork on Kingdom come is definitely an awesome display of talent. I read somewhere that he uses relatives as his reference to some of the characters he worked on. I love his rendition of Wild Cat and Hawkman. I used to have the huge Crisis poster, but somehow I managed to spill some water on it or something and it got ruined. I’ve been meaning to replace it. It may be the only poster out there that comes with a key so that you can identify all the characters. Somehow, my shop got stuck with the Tony Harris JSA poster, and it hung around for ages before finally getting sold. Meanwhile, I bought the JLA/Titans poster for myself, and cut the white border off it so I could fit it into two(+?) of those plastic sheaths that were like gigantic card sleeves. It hung in my shop for a long time, and was a bit of a pain to deal with, before someone talked me into selling it. I had that first Starman poster hanging on my bathroom door at home for a long time, more for the Wilde quote than anything. The rest were either before my time or not of interest, though I love that Bachalo Death image from when it ran in a house editorial column.